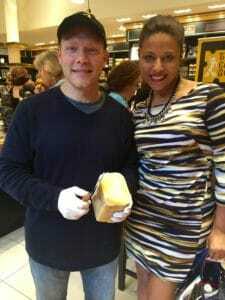 Last week, I got to meet “The Cheese Guy” @ The Cheese & Mustard Pairing Event @ The Maille Boutique in NYC.He’s a kosher, natural, artisian cheese maker who has been featured in the NY Times for his cheeses. There are so many health benefits to cheese…and so many fun ways to eat it. Its just the perfect healthy snack! 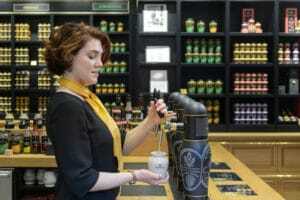 Of course, if you are in Maille Boutique, famous for creating the finest Dijon and whole grain mustards, you can expect mustard tastings of more flavors than what you thought possible. 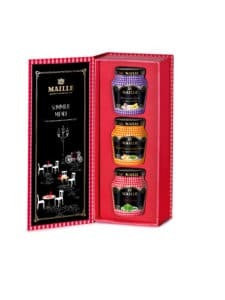 Founded in 1747 by Antoine Maille, who became the official Vinegar Makerand Distiller to the King of France, La Maison Maille has accumulated an extraordinary heritage of craftsmanship, creativity and innovation. Inspired by traditional artisan methods and more than 265 years of expertise, the creators at Maille use high quality ingredients to create complex flavors. There are four La Maison Maille Boutiques worldwide, including this store that just opened New York. The boutiques offer a wide variety of mustards, vinegars and gourmet ingredients, including traditional mustards on tap. For an exclusive peek into French culinary history, you can enter The Maille Dijon Delights Tour Contest to win a foodie and cultural weekend for two in Burgundy, France, the home of Maille Mustard. This dream mini-vacation will include a private tasting experience at the original Mailleboutique in Dijon, wine tasting, dining in Michelin-starred restaurants and much more. Enter online HERE from May 1st to July 31st, and follow along with Maille (@MailleUS) about its New York boutique and online boutique on social media – Twitter, Facebook, Pinterest, and Instagram – using#MyMaille. “The Summer Collection” Mustard With White Wine, Toasted Onions And Wild Thyme available at Maille USA. Maille introduces three fresh new mustard varieties for Summer 2015 inspired by the current renaissance of the iconic Parisian bistro. True to Maille’s commitment to ‘culinary couture’, the mustard jars as well as its gift box are dressed in colorful gingham, a nod to both the bistro heritage and the plethora of updated gingham looks seen on Spring 2015 runways. You can purchase Maille Summer Collection HERE. aside remaining 1/2 lemon. Stuff branzino with lemon slices. and Garlic and remaining salt. Spread ! olive oil/mustard mixture on both sides of the fish.Heat remaining olive oil in a large ovenproof skillet over medium high heat and sear both sides of the fish, 2 minutes per side. Place the skillet in the oven and cook for an additional 10minutes. 3. Remove fish from the pan and arrange on a serving platter. Place the skillet back on a burner with low heat. Whisk in lemon juice, remaining mustard mixture and butter until emulsified.Pour over fish and serve warm. 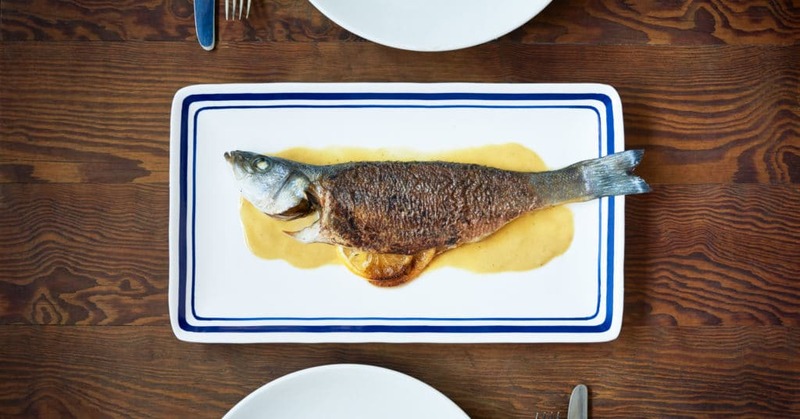 To Serve: To serve branzino, gently run a paring knife down the center of the fish where the spine is.Taking the tail, wiggle the spine out of the body and remove the head. It should pull away easily.Remove any small excess bones before eating. Chef’s Tip: Get to know your fishmonger and have them scale and gut your fish before bringing home to make the process easier and less intimidating. 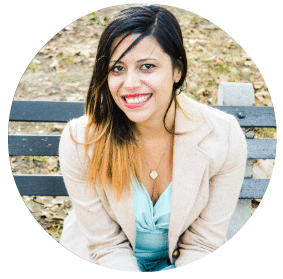 Anllelic Lozada, M.S. 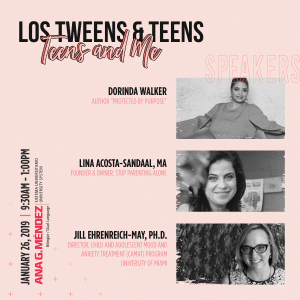 es una orgullosa P.A.N.K (professional aunt with no kids), una Coach de Marketing Personal en Nueva York y “Tia-in-Charge” de Los Tweens & Teens. 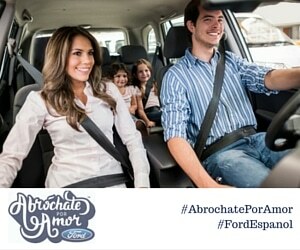 Anllelic quiere ayudarte a venderte mejor – en tu vida y en tu carrera – y así influenciar positivamente el futuro de tu tween o teen. Suscribete a su newsletter “Vendete” AQUI, donde cada semana envía estrategias para que puedas comunicar lo genial que eres. This entry was posted in For Mothers & Tias, Mind, Recipes and tagged Anllelic Lozada, easy recipe, Maille NYC, mustard, mustard and cheese, The Cheese Guy, Weeknight Dinner. Bookmark the permalink.